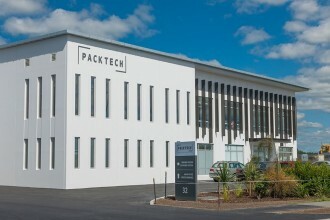 Pack Tech Moulding Limited (Pack Tech) is a privately owned and operated manufacturing business based in Rolleston, Canterbury. The company has over 18 years’ experience in designing and manufacturing injection and extrusion blow moulded products. 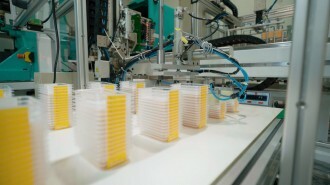 Pack Tech’s team is committed to providing their customers with innovated packaging solutions to best meet their needs. Our technical knowledge supports our focus on innovation and customisation. While our own products are stock items, we also customise many of our products to suit our customer’s needs. For instance, changing the threads/necks of any of our bottles or jars to suit a cap of their choice or, moulding the product in specific colour, customised label shapes and so on. Our own range of moulded products, includes nutraceutical, industrial and food packaging and is available ex stock. We also offer a strong contract moulding service for customised packaging which include in mould labelling (IML). Pack Tech’s production facility is a certified critical hygiene facility which enables us to produce both food grade and no-food grade products. Pack Tech is an approved food safe provider with our quality and food safe procedures based on the HACCAP food safety programme. PTML prides itself on having high quality standards. This extends from the initial discussions about a new idea, through to the final production and commissioning of the products. Our quality systems have been designed around the needs and expectations of the customers. Our food safety programme has been developed under a HACCAP preventative approach and complies with the Food Act 2014 and 1981, Food Regulations 2015 and Codex Alimentarius / Alinorm 97/13. All Pack Tech’s food packaging also meet the Food Grade Packaging Standards US FDA Title 21 parts 170 to 199. "At Pack Tech, we're passionate about providing innovative solutions to your packaging needs"